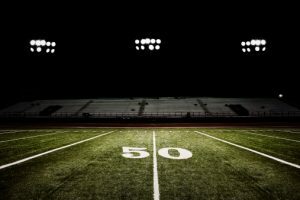 With football season upon us, sports fans every weekend will gather in front of the television with friends and family to catch a game or two. As your guests get together for exciting game action, our Texas DWI defense lawyers want to remind you to play it safe. Having food on hand is half the battle in avoiding a DWI as you or your guests head home after the game. The Texas Department of Transportation earlier this month announced the implementation of a program called P.A.S.S., or Person Appointed to Stay Sober, just prior to the Texas Tech-Texas football game. Karen Peoples, TxDot’s public information officer, reported that drinking and driving on football game days is actually increasing. She stated that approximately 1,400 DWI crashes in Texas occurred on game days. This accounts for six percent of the total DWI crashes in the state throughout the year. Considering that a regular NFL season is 17 games, that’s only 4.5 percent of the year. Further, TxDot reports that 45 percent of Texans report drinking alcohol while at football parties, and then driving home afterward. Another study conducted by the University of Texas indicates that football game days are among the heaviest of the year for alcohol consumption. Primarily, the most DWI arrests are occurring in Dallas/Fort Worth, Houston, Austin, El Paso, San Antonio and the Rio Grande Valley. In 2009, the Houston Chronicle reported that Harris County had the highest alcohol-related traffic deaths in the country for areas of our size. The district attorneys office reported that with 3.9 million residents, the county files about 10,000 DWI cases each year. It’s important to note that many of these cases involve first-time offenders. With the help of an experienced Texas DWI lawyer, many defendants can apply for a pretrial diversion in lieu of a conviction. These pretrial diversions often include alcohol abuse or dependency treatment. Unfortunately, the district attorney’s office also reported that many of those arrested are simply pleading guilty, serving jail time and then paying the steep fines, rather than trying for the diversion. The problem with this is that DWI remains on your permanent record, resulting in higher insurance rates and acting as a possible impediment to landing certain jobs in the future. Plus, you’re giving up on the possibility that an officer mistake may be enough to have the charges dropped altogether. Getting a good lawyer in these cases is key, but it’s best to avoid the situation altogether if you can. 1. Keep plenty of food on hand. Food helps to soak up the alcohol. Make sure you have appetizers and snacks on hand as well for guests to munch. 2. Stop serving alcoholic beverages at least an hour or two before the party ends. This isn’t a guarantee your guests will be sober, but it can certainly help. Consider serving coffee and desert as you wrap it up. 3. Pay attention to your guests. If one appears to have had too much to drink, either offer to drive home (assuming you are sober) or call a taxi. Do not allow them to drive.